I was honoured to be invited to speak at The RSC’s Annual Symposium, held in Victoria this year. The theme: Canadian marine biodiversity. My talk was all about #oceanoptimism, for a change. What an honorable-looking bunch of speakers! 18 November 2015 – Fiona’s research in the news! The value of fish pee. The title says it all! 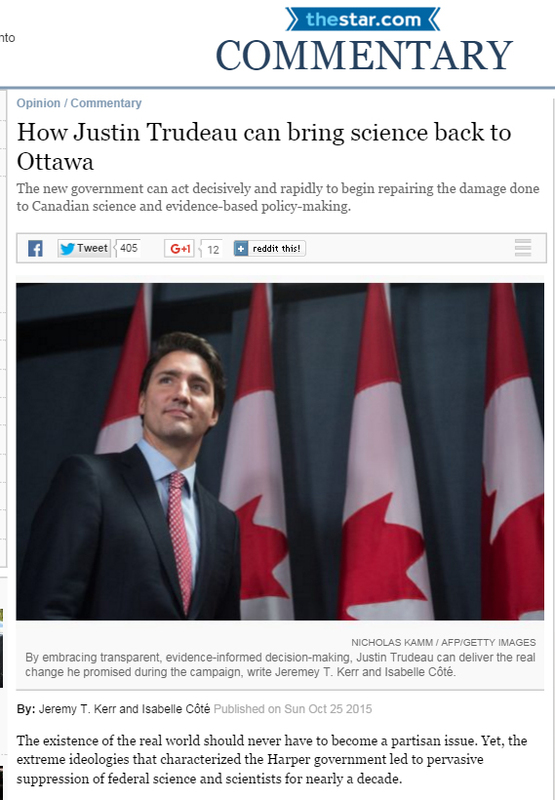 25 October 2015 – My first op ed! Today, Luis, Fiona, Jesse (from the Punja lab) and I realised a long-term dream: to dive in Pavilion Lake, the home of ancient stromatolites. It was a crazy expedition (8 hrs of driving for 1 hr of diving!) but worth every kilometre. Expect a Field Note about this soon! Natascia wowed her examining committee and general audience with a beautiful presentation and clever, insightful discussions about fish movement. Congrats Dr T! 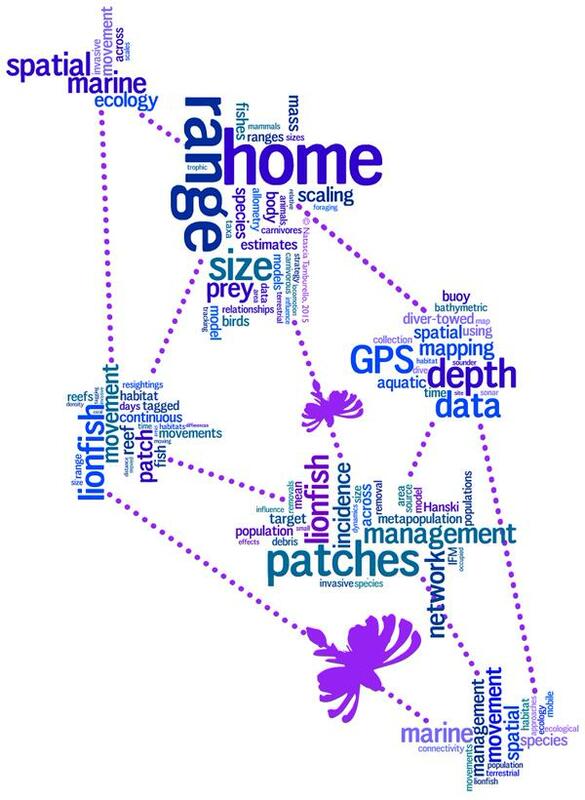 This is Natascia’s amazing summary of her thesis – each word cloud patch is a thesis chapter, connected to others by swimming fish. How appropriate for a thesis on fish movement and meta-population dynamics! 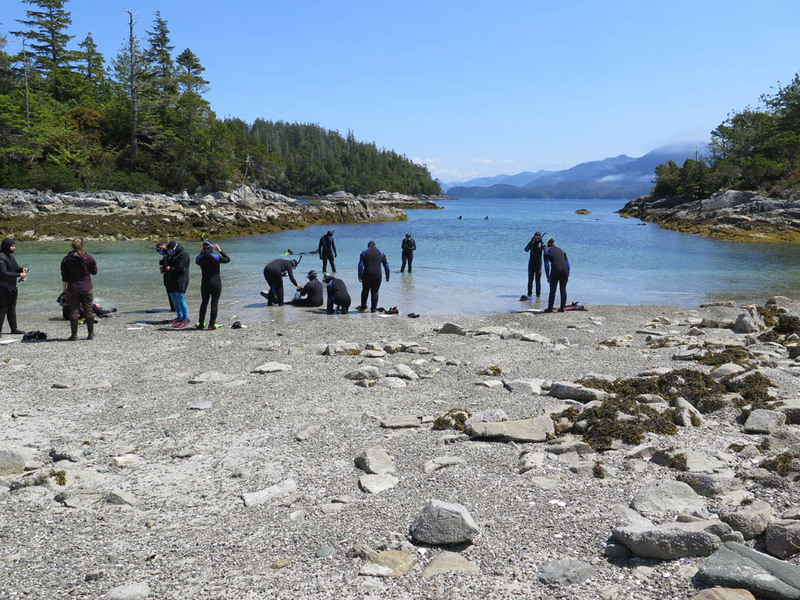 When Natascia and I were at Bamfield this summer, a TV crew came for a few days to shoot a special about the marine centre for the Quebec TV station TVA. Here’s the result (in French, bien sûr!). Everyone is back, safe, sound and successful, from their field sites. Nicola, Fiona, Adrienne, Lais, Kyla and Emma from Eleuthera; Brett, (Fiona) and Dickson from Bamfield. 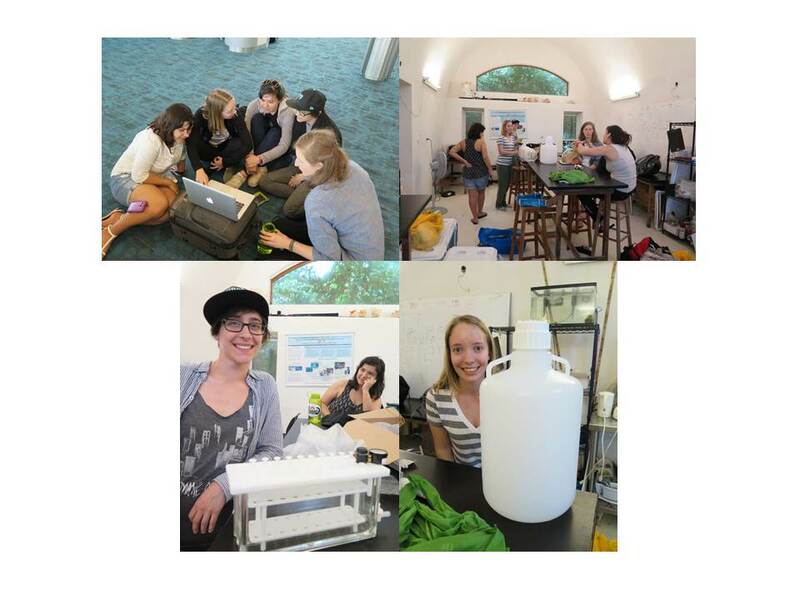 All of the grad students in the lab, bar Adrienne, are now done with fieldwork and in write-up mode. 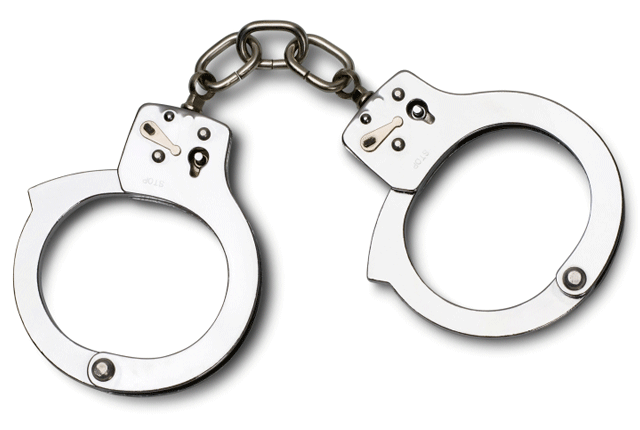 Time to handcuff them to their desks! 6 July 2015 – CHONe 2 is funded!! Yay! The Canadian Healthy Oceans Network v2 just got funded for another 5 years. 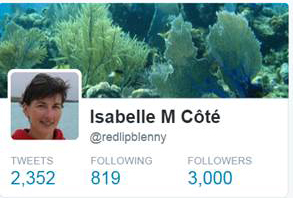 This will mean a new project and PhD student working on multiple stressors in seagrass meadows joining the lab in 2016. It’s time for the long-awaited Leopold Leadership training. Twenty of us from the US, Mexico and Canada are gathered here to learn about leadership strategies, and about ourselves in the process. 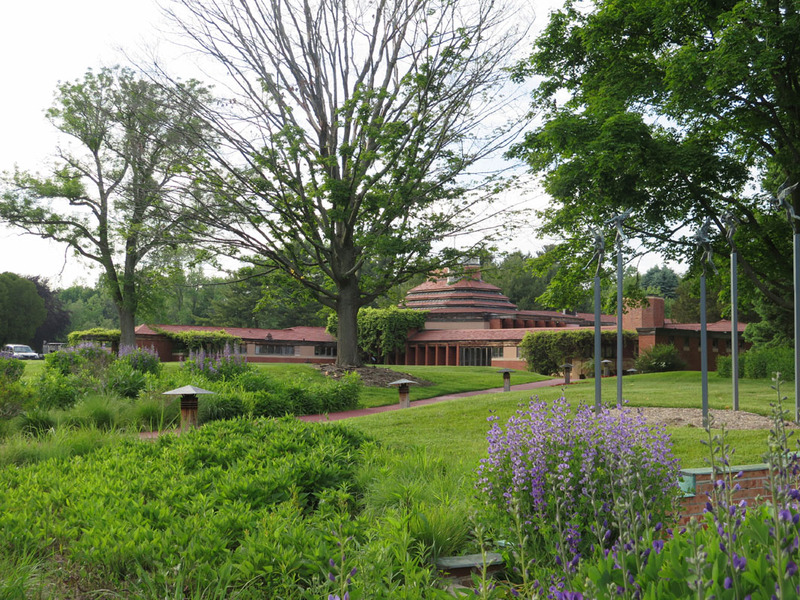 We’re staying at Wingspread, owned by the Johnson Foundation, near Racine WI. The venue, company and food are simply amazing! 29 May 2015 – Best talk for Jess! Woot! Jess just won ‘Best Student Talk’ at the 15th International Echinoderm Conference, in Playa del Carmen, Mexico. 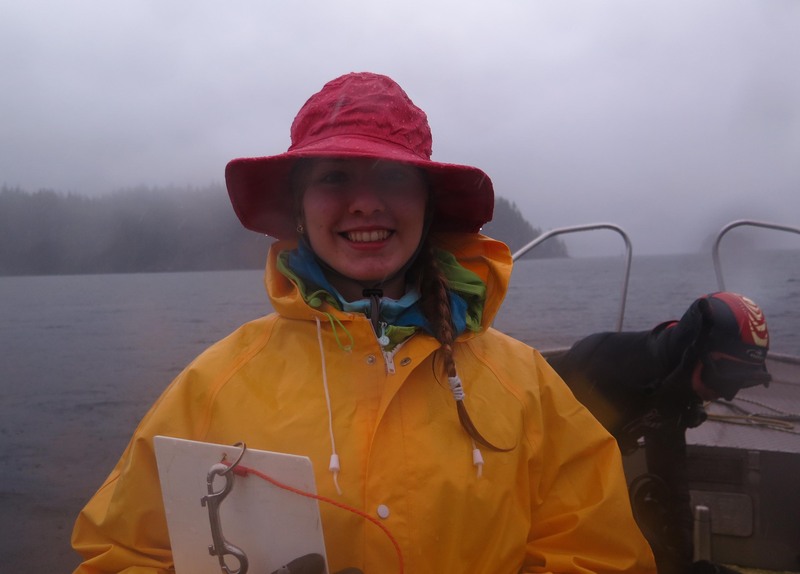 She presented her findings on the ecological shifts that have occurred following the mass mortality of predatory seastars in Howe Sound. Congrats, Jess! As if the natural beauty of the place wasn’t enough, a humpback came to say hello, surfacing about 50 m from snorkelling students. All in a day’s work at Bamfield! Grads Fiona, Nicola, and Adrienne, undergrads Kyla and Emma, and I left YVR just before midnight, bound for Rock Sound, Eleuthera. We were joined by post-doc Lais in Nassau, and met up with acoustic experts Sophie and Brendan Nedelec from University of Bristol at Cape Eleuthera Institute. The crew did fish ID quizzes in-between flights (unprompted by me! ), and we happily took possession of the space that’s going to be home for the next 2-3 months. We’re going hi-tech this year. Adrienne shows off her manifold (for cortisol measurements of lionfish prey), under the gaze of a very impressed Lais, while Kyla unpacks a carboy (for cortisol and nutrient extraction) that she had magically packed in her suitcase. 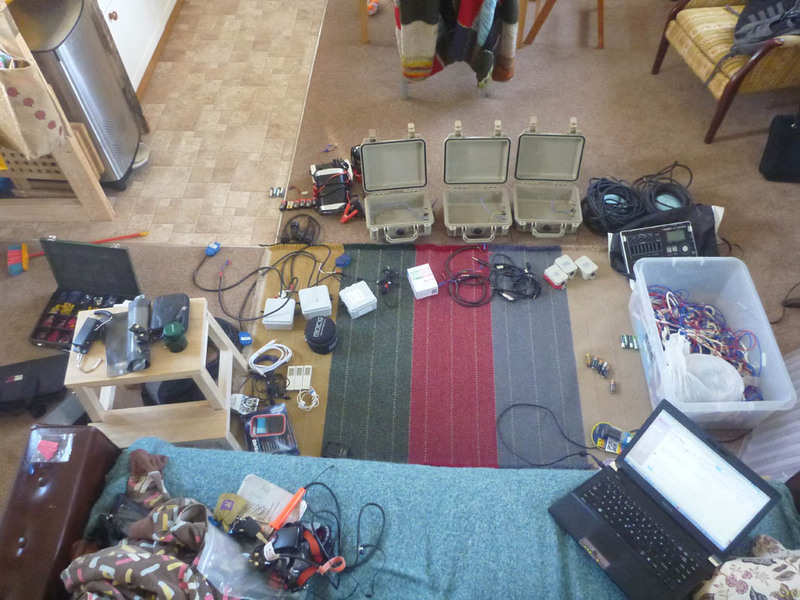 Sophie and Brandan brought an unimaginable number of cables, wires and Pelicases, to record the sound signatures of reefs with varying numbers of lionfish. Adrienne got an NSERC CGS for her MSc. Hooray! Emma (Atkinson), Kyla (Jeffrey) and Dickson (Wong) got USRAs for their projects with TMEL this summer. Awesome! Kyla and Emma are heading southeast to the Bahamas, and Dickson is going west to Bamfield. Fiona is now officially a PhD student, having successfully upgraded from her MSc. After months and months of reviews and revisions, Natascia’s paper on what explains variation in the relationship between home-range size and body size in vertebrates has finally been given a big thumbs up by The American Naturalist. The handling editor said ‘I am confident that it will become a landmark contribution to the literature on the scaling of home range use in animals.’ So am I! Congrats Nat! E2O PI Wendy Palen and I are making the headlines in the Vancouver Observer as two of the 2015 Leopold Leadership Fellows. Grade 11 student Natalie Maslowski has joined us for a couple of weeks of work experience. Natalie is passionate about all things ocean. She’s been helping in the lab and attending seminars and lab meetings. She acted as a very capable and cheerful dive tender today, even though the weather was most foul. Her reaction: ‘I loved it’. A marine biologist in the making! On 22 December, TMEL (and the world) welcomed Natasha Dawn, born in Hualien, Taiwan. Mum Crystal is doing great and taking a well-deserved break from her PhD. Then on 9 January, Alexa made her appearance in Tampa, Florida (here with proud big sister Zoe). TMEL alumna Chantale submitted a paper (her last PhD chapter) 6 days later!! Top that for dedication!